Today was the announcement everyone was expecting. The new new macbook pros 2016. The brand new and improved chassis. The new CPU. The new graphic board. The new keyboard. The old problems of having new ports (USB C) and buying adapters for everything. The old issue with not having the latests CPU’s on the market. 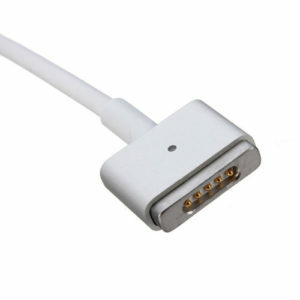 But more interestingly, the drop of the true innovation: the magsafe. The charger that no mater how many times we would stubble on the cable, it would disconnect and our laptop would be safe. Magsafe was already reversible and more than everything else, was truly ‘safe’! Specially if you’re clumsy or have kids around. It was that gift from ‘god’ that would spare our precious laptops of falling and going to ‘heaven’. USB C is a great standard, no arguing with that, but it’s not safe. It’s not magnetic. It has serious issues with cable compatibility and breaks one of the most interesting features of macs; if someone pulls the charger, the laptop would sit tight and wouldn’t even move. Apple said it took courage to remove the 3.5mm audio jack from iPhones, but it took stupidity to break the most safe charger of them all.